Here is a whole bouquet of honey bees on flowers. This is the time of the main honey flow so the photos are coming fast and thick. We are hoping to harvest honey really soon - maybe even next week. Everyone is asking for honey and we want honey too. 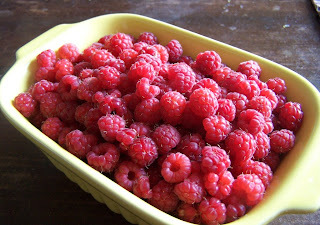 Can hardly wait for the hot sticky sweet days of extracting honey. I've finally done it! 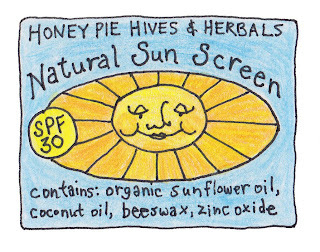 Here's the label I just drew for our new product - Natural Sun Screen! Gav in took it to market on Saturday and sold a bunch of them. 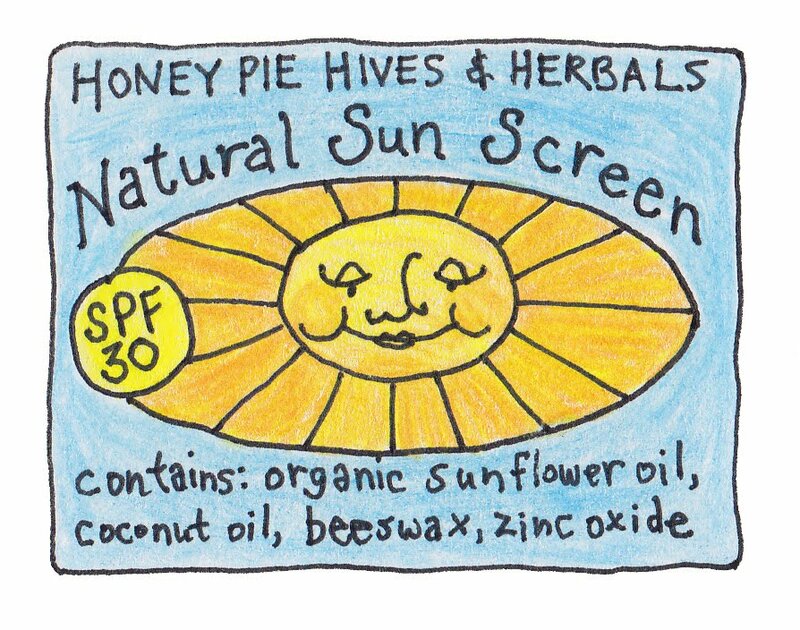 The zinc oxide is a physical barrier to the sun and coconut oil has natural sun screen properties. It's in a translucent twist up tube like a giant lip balm. Here we have Matias sampling some wildflowers. I'm getting ready to teach a workshop on identifying edible wild plants so I practiced on our friends who were visiting last weekend. Matias really enjoyed eating vetch but that's water mint he's biting in the photo. There's vetch in this bouquet - it's the purple flower sticking out the sides. Also appearing in this sweet little bouquet are leek flowers, cilantro flowers and an unusually variegated milkweed. We had lots of lavender bunches from The Prince Edward County Lavender Farm this week at market along with my $5 posies. We're selling lavender essential oil from them as well. That's what's in the little jars on the right. This is my honey man doing his Bill Clinton impersonation. 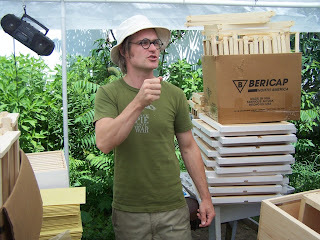 Actually, he's explaining how to put foundation into frames for the bee hives. Check out the piles of new equipment he's built. He's got an awesome tape deck hanging up there too.